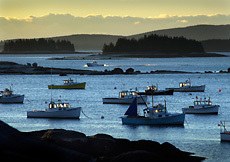 Fred Field is a Maine-based photojournalist specializing in portrait, editorial, and higher education photo assignments. He is comfortable with all types of photography from fashion to executive portraiture, to breaking news and sports. While he does the majority of his work in Maine and Massachusetts , Field is happy to travel anywhere in New England, the United States or beyond. Field believes in the importance of combining strong technical ability and a great eye with the latest high-end Nikon digital equipment. That's why he uses and continues to invest in the latest top of the line camera, lighting, computer and radio triggering equipment. Problem solving as well as sensitive and/or difficult situations are among Field's specialties. "I love it when an art director or editor tells me they're amazed that I was able to get THE shot," Field said, adding "Patience is underrated!"